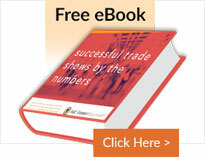 Do you have a variety of trade shows and events in which you participate each year? Most likely each event reaches a different audience and the venues vary in size. 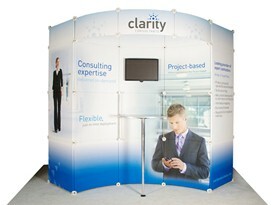 A custom modular display is the perfect solution because it allows you the freedom to transform your trade show booth into a variety of sizes and shapes, using different components and graphics that are event specific. Our custom modular displays include pre-engineered, patented panels and components designed to meet your specific requirements. E&E Exhibit Solutions offers a variety of custom modular display components and accessories—invest in your initial booth design and add to your booth over time. 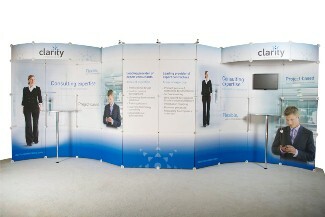 What are the Benefits to Investing in Custom Modular Displays? Customization: Just like the name implies, a custom modular design is made specifically for your business and is more affordable than a single trade show booth because of its ability to scale up or down in size. Component-based Design: Custom modular booths are comprised of a series of components or building blocks, such as theater presentation seating, private conference rooms, large storage areas for products and materials, interactive kiosks or customer lounges, that can be combined in different ways to create new displays. Scalable: These same components make scaling your booth up or down in size a snap. A large island display may contain breakdowns for a 10×20 or 10×10 booth, which you can use at smaller regional shows. Smart & Affordable: The unique design of our custom modular displays allows you to use one property for multiple shows and for a variety of purposes. Large Graphics: Our large-format graphic production facility beautifully creates your company brand and primary marketing messages with the highest quality fabric graphics or large format graphics. Multi-purpose: Components from your custom modular display can be used in your lobby or retail space when your portable trade show display is not being used at a convention or trade show.